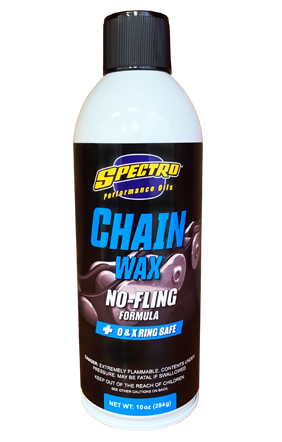 Chain Wax is a paraffin-based formulation designed to coat and protect like cosmoline. Built with anti-wear additives to provide extended chain and sprocket life — but without the mess you get with tacky tubes of grease, Chain leaves a dry, wax film, attracts no dirt, and protects chains and magnetos from rusting. “O”-Ring safe and contains no CFCs.